Great video Coachwhip, do you like the Breach? 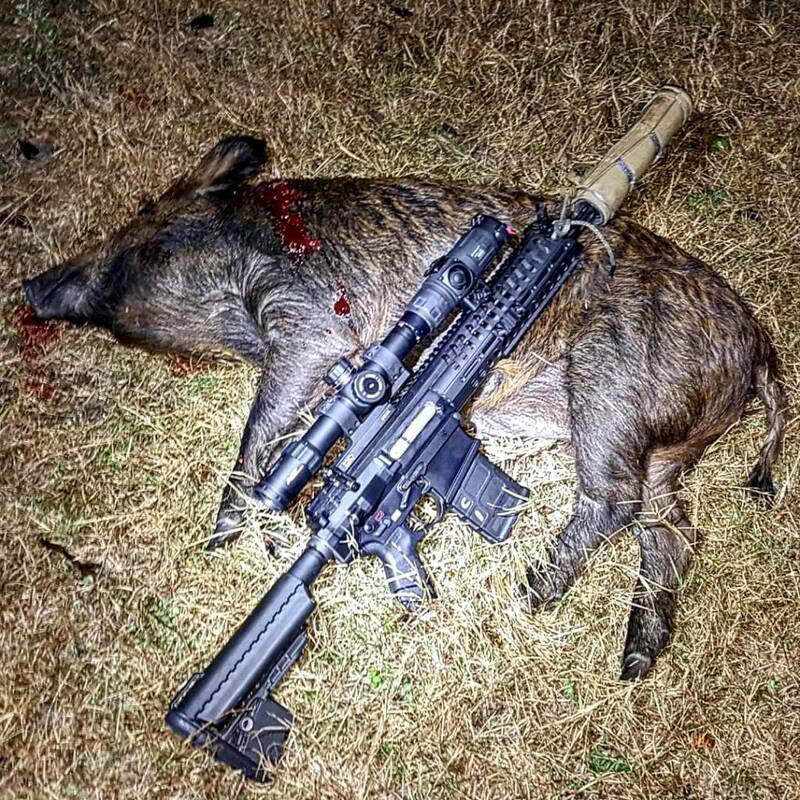 #diepiggydie Sows down with a 110 yard head shot using a 165gr Federal Fusion in Goliad County w/ the POF P-308, a IRMK3-60 Mk3 60mm Thermal Weapon Sight and a Dead Air Silencers Sandman L w/ Rifles Only HAD Suppressor Cover. @third_coast_thermal provided the Trijicon mk3 60mm. for a more economical option, anyone tried the Pinty's? Lol read the thread title again. 100% more suchage than even the counterstrike was. I'm sorry there was a lot of Greek in there. That's my bad. Let me sum it up this way..... The new $1,999 ATN ThOR unit might be a really good optic or it might be a very entry level optic where you'd be disappointed with the actual quality/usability and should spend more to get something more usable. We just have to wait and see. Also, the new ThOR's should have all the same bells, whistles and features that the new X-Sights will have because they have the same brain or guts on the inside. I hope that makes more sense. But yep, it's going to be a wait and see deal, in my opinion. LOL! That flopping around was hilarious! Great shooting. Jason, can you update us/me on your thoughts on the ATN Thor. My Landowner and his son are looking at getting Night Vision. I thought I read some where that the ATN wasn't using the current generation thermal cores that they was 2 sometimes more generations back. That's a cool looking setup, nice job on rigging that all up with the external power. Glad to help with the reviews! I'm going to try and word this diplomatically but the best advice I can give is, stay away from the ATN thermals. There is literally not a single good reason to buy one. Getting it 50% off is not a good enough reason. I hope this changes in the future but for now it is what it is. Things seem to have only gotten worse, not better. That wasn't me ( I don't think....lol) that said that about their thermal cores but ATN has several problems that they choose to not overcome. Without turning this into a bashfest, I'd just say this..... They have major customer service issues and it is not a secret. Just search any hunting forum for reviews of their customer service and it gets ugly quickly. I spoke with a ATN user about 2 weeks ago who owns two of their scopes, both aren't working and they told him to send them in (under warranty) and they'd fix them but it would be 2-3 month minimum turn around time. The last 3 defective (brand new out of the box) optics I sent them all took over 2 months and one was only a few days less than 3 months to get back. There is a reason that the majority of the legit mom and pop NV/thermal dealers like myself don't sell ATN thermal. Again, this is something that I hope will change in the future but for now, I have no choice but speak honestly about what I've seen repeatedly with my own two eyes. But my question is for old guys that need reading glasses. Does the thermal picture require reading glasses if you need them to read like I do. I had difficulty making sure I was seeing hogs not deer or cows. By the way, one if the most exciting hunts of my life. What are you going to be hunting and where? If coyote hunting in big open country the 736 would be good. If your hog hunting you Wouldn’t want the zoom of the 736. Hogs are easy to walk up on at night if you get the wind right. 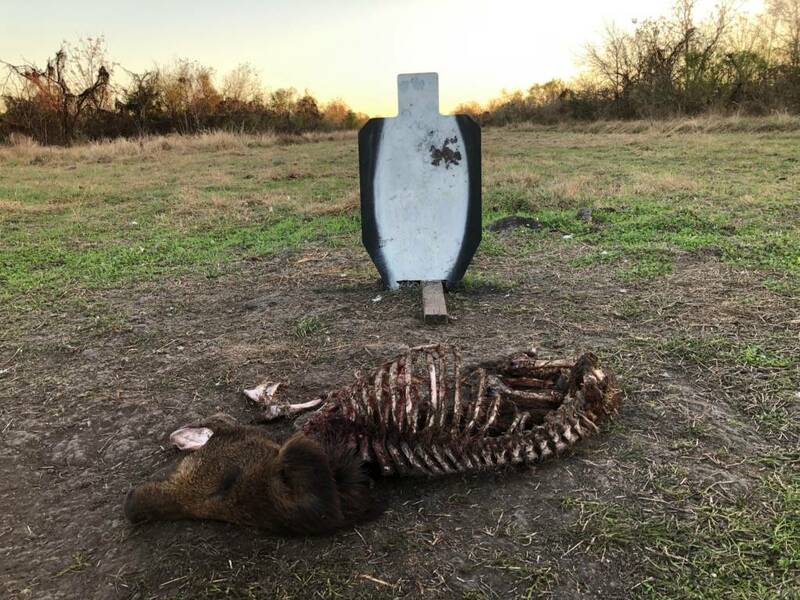 We kill most of ours at 30-40 yards. Last edited by kkp005; 10-22-2018 at 04:51 PM. So are you saying the 536 is better than the pulsar xd50? I’ve got a pulsar xq38 trail and wanting a clearer picture. I don't wear glasses so I can't speak for certain but you should be able to use the rear eyepiece focus and ensure the display screen is focused to your eye. At that point, using the front objective lens focus, you should be able see and ID as well as someone without glasses. On the other hand, if you can't get the display screen focused to your eye, then yes you'd probably need to wear your glasses and then focus it in. But at the end of the day, glasses or no glasses you've got to get the display focused for your needs. Also, depending on what thermal you used, it can be harder or easier to get a positive ID on animals. It also depends on the yardage. Some thermal optics might only be good for ID'ing out to 200-225 yards, while others might be good at 300+ yards. All good thermals can detect the animals at VERY long ranges but that doesn't mean you can tell if it's a cow or a hog. Out of curiosity, what scope do you have now? It might help with some comparisons. I've used all these scopes in the field so I'll chime in my 2 cents and maybe it will help a little. The XD50 was discontinued a couple years ago but it was replaced with the upgraded Apex XQ50 and that might be what you're talking about. Or are you talking about the Pulsar Trail XQ50? If you're looking at an older XD50, I would hold off because the quality of the XQ50 for the money is hard to beat. No matter which XQ38 you're looking at the image quality and magnification is the same, so I'm going to roll with it. I would definitely stay away from the PTS736 for any shots under 150 yards. It's 6x magnification and it is great for LONG range but terrible for shorter range stuff. The 736 has a 16ft horizontal field of view at 100 yards. Yes that's right, 16 ft. for 200+ yard stuff the 736 is THE way to go but it's just way too much magnification for the shorter range stuff. The PTS536 is a much better option but even it isn't great at the sub 100 yard shots. The FOV on it is 24ft at 100 yards. The image quality on both the 536 and the 736 are the best in any of the standard (sub 640) resolution scopes. The reason is the large 50mm and 75mm objective lens's on those scopes and the new 12 micron Boson core. With that said, I still wouldn't make this decision based on image quality, I'd make it on magnification. The XQ50 is 2.8x and it's going to be excellent at 75-175 yards and 200 yards is doable, especially with Pulsar's picture in picture function. The FOV at 11o yards is 56ft. That's a huge difference compared to the 536. 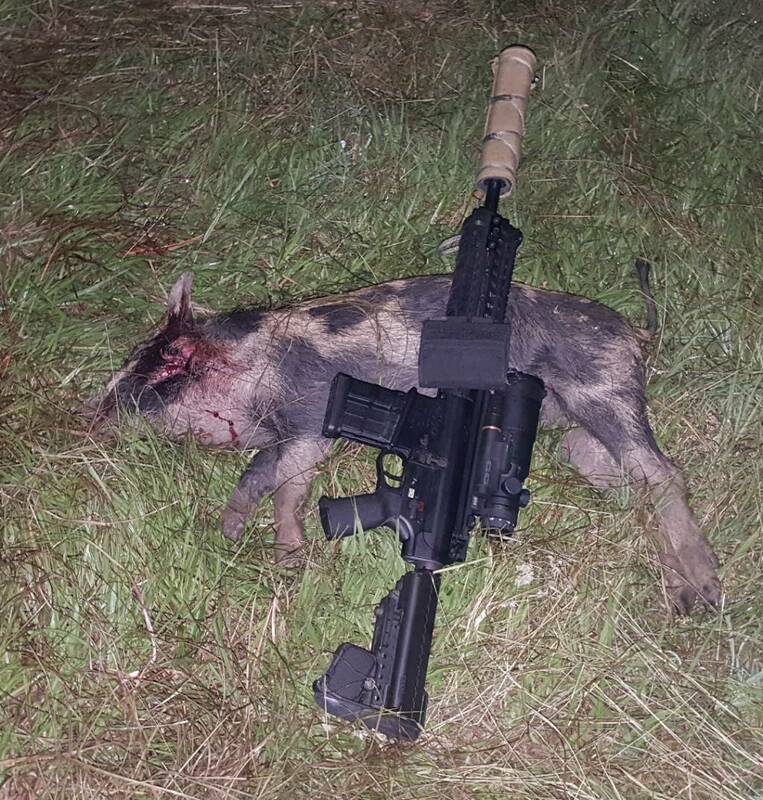 You just can't discount FOV for night hunting, especially at sub 150 yard ranges. The image quality is great on the XQ50 but it's slightly less than the 536 but again, I'd make this decision based on the magnification and FOV you need. I think the 536 and XQ50 are you two best bets for the yardages you are looking at and they are the same price. If you're interested, I've got them all in stock (Trail XQ50, Apex XQ50, PTS536, PTS736 and more) and have some free accessories that I throw in with all of them. Still the most exciting hunt I have had in a long time. Sorry meant to say the pulsar trail xp50 vs the flir pts 736. I have the pulsar trail xq38 now but looking to upgrade. Most of my hunting has been on our turf farms where pigs have been doing lots of damage. A lot of the fields are 2500ft in length by 1-2 miles wide so it’s pretty open and hard to sneak up on. I have watched a ton of yalls YouTube videos and love the insight that you and Hans give. I will be buying from you just want to make the right decision. Thanks! GOOD GRIEF that's some major damage!! Dang man that's terrible. Ok so back to the drawing board.... If you own the XQ38, then you absolutely don't want to go to the XP50, it's only a 1.6x and you're wanting to shoot/see further, so that's really a step in the wrong direction. While it is a 640x480 resolution, you'll be all the way down to 320x240 as soon as you double the magnification up to 3.2x using the digital zoom. I love my XP50 but it is definitely not a long range optic. The XQ50 is a logical choice, but honestly, if you already own the XQ38, you'll be disappointed at the gains you receive with the XQ50. While the 2.8x is more than the XQ38's 2.2x it's just not a big enough bump to justify you buying a whole new scope. I really think you'll need to jump way up in magnification and go with the PTS536 to see real benefits. If you didn't already own the XQ38 I might look at this differently but let me put it like this. If I handed you an XQ50 tonight and you looked through it 400 yards across a field, I'd be shocked if you could tell me if it's a XQ38 or XQ50 without having the other one to compare it to. Does that make sense? To really get some gain and help in reaching out and touching those hogs you're fighting on those big fields I think the PTS536 is the answer. It's not going to be great at the sub 100 yard shots but it's going to be awesome for everything further than that. Here is the good news.....tomorrow morning Hans and I will be releasing this week's The Late Night Vision Show podcast and we compare the XQ50 and PTS536 side by side. I'll post the link tomorrow. Awesome I will be tuned in! Another question I have is about the reliability and customer service of Flir, my Pulsar has been bulletproof not so sure about the Flir products? @RMW why are they hard to sneak up on in the sod fields? I’m in the same boat with hay meadows and pastures and with a XQ50 I can spot them far enough out to hop off the buggy and get up close to them. I use to sneak up on them with no problem, but now they have been educated. If they see lights from my truck or ranger coming down the main road they move out quickly, I think they can hear me also coming down the gravel road because I’ve tried turning off my lights. Now I haul *** towards them in my truck and shoot out my window. I’ve tried waiting on them before dark but you might sit 3-5 hours before they come out. I like to go every night and make my rounds and kill a few. Good question. Pulsar customer service/warranty support is top notch and they definitely set the bar for this industry. FLIR's customer service has gone down hill over the past year but they just finalizing a very large restructuring of the hunting optics division. This includes everything from letting all the old Armasight employees go, moving their manufacturing facility for hunting optics, moving the shipping facility, moving the billing to another division of the company, letting one of the field reps go.....there has been a lot of changes happening over the last 6 months and customer service has suffered because of it. The claim is with all this re-structuring they are putting themselves into a better position to offer much improved customer service. They are rolling out a customer portal where the end user can go in and register, explain the problems they are having with their device and automatically get return authorizations and ship their scope in for repair/replacement etc. I've seen the portal software and if this all works like it's supposed to, it's going to be really good. Here is thing....FLIR is a Fortune 500 company and they aren't going anywhere, although it's worth noting their hunting optics division isn't that big. They are going to take care of their customers but there are times the customer service isn't going to be at the same level as a company like Pulsar that has 1/40th as many employees as FLIR. They are just a huge company and sometimes they operate that way. I would personally have no problem buying a FLIR. The only major brand I won't personally buy right now is an ATN. With all that said, yes Pulsar has by far the best customer service and they beat FLIR like a red headed step child in that department. has anyone tryed kentli recharable battery,s in photon rt. are they safe in photon the x site guys swear by them. I've heard good things about Kentli. I had a customer tell me he was using them in his Photon T with good success but I have not confirmed that or heard enough to say it's 100% true. With that said, I be they will do fine if they work good in the X-Sights. Alkaline AA batteries are 1.5v and most rechargeables are 1.2v and that's the real problem. A lot of devices, especially high drain devices like NV optics, have a pretty high voltage threshold for when they turn off. Many thermal optics won't even turn on with rechargeable 123A batteries in them because of their lower voltage. My understanding is that the Kentli AA rechargeable batteries are 1.5v and that's a huge advantage they have to powering the scope and for longer than most AA rechargeables. Ok I'm rambling.lol Hope that helps a little. Thank you SO much! I didn't realize that order was from you. I really appreciate it man. Dang you're hammering them hard with the Pulsar Apex! Nice job! Popped a couple more last night with the Grendel. I know you were asking Jason, and I only have 2 X Sights, (first and second versions) but the preformance of kentli batteries blew me away compared to other batteries I tried in them. I ended up buying 2 more sets of 4 once I used the original set I bought. They are similar to a lithium in that they have a constant 1.5 output until they die. Using them was the first time that I could use the standby mode on my xsight II without killing the battery quickly. Just put an order in for a photon. Can’t wait to get it and try it out. Has it been slow hunting for everyone else like our group and my buddies locally? It's been good for me in Seguin on farmland. Slow in Leander, but that may have more to do with development than food sources. Is there anything in the $1500 range NV or Thermal that's worth having? Absolutely. Your best bet is to call Jason with Outdoor Legacy Gear, tell him what your budget is and what type of hunting you want to do. He'll recommend something that will not only fit your budget but also meet your needs. I had a Sightmark Photon RT (night vision) that is well below your budget and works well. If you want to step up to thermal for a bit more than your budget, the Pulsar Core RXQ30V is a great entry level scope. No video capabilities but you'll be able to see animals much farther than you'll want to shoot. I have one I use as a handheld when hunting alone and as a loner when one of the boys is hunting with me. Also, check out The Late Night Vision Show on YouTube or podcast for various comparisons, reviews etc. Anyone have the RXQ30V mounted on an AR with a FSB? I'd want to put it on my 6920. Have a scope on there now with no issue but not sure if it'll interfere with this sight.